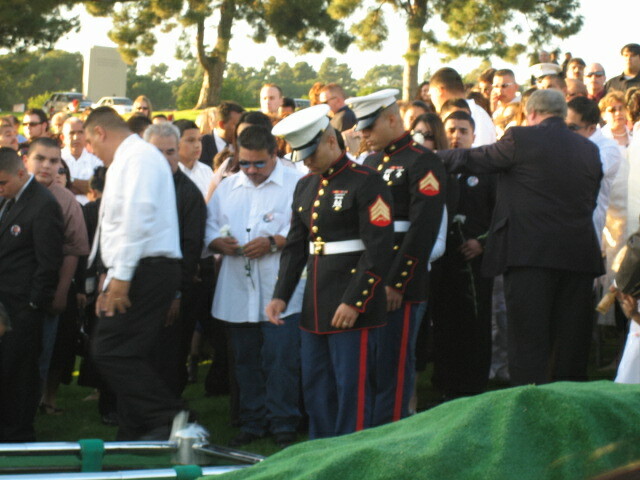 Hundreds of people attend the service for U.S. Army Specialist Sergio Gudino, 22, of Pomona. This is part 2 of a 2 part report. Glendale, CA - Hundreds of people attended the service for U.S. Army Specialist Sergio Gudino, 22, of Pomona. 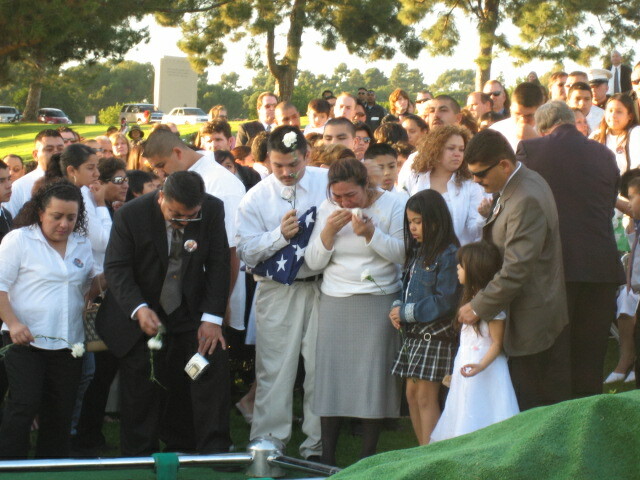 Gudino was killed on December 25, 2005 in an IED attack in Baghdad, Iraq. 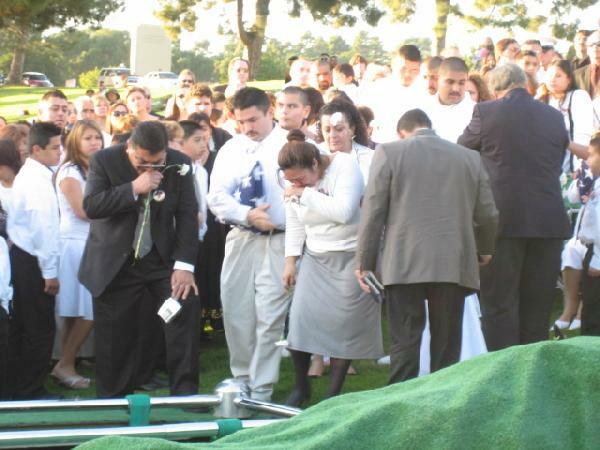 The first picture shows the widow of Sergio Gudino holding their child. 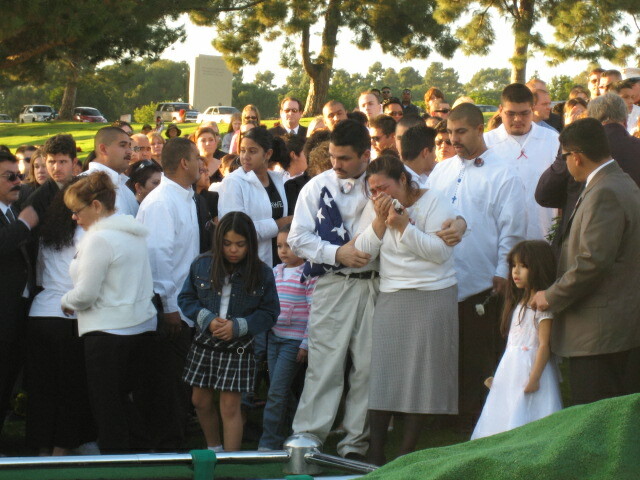 The widow of Sergio Gudino, holding their son. 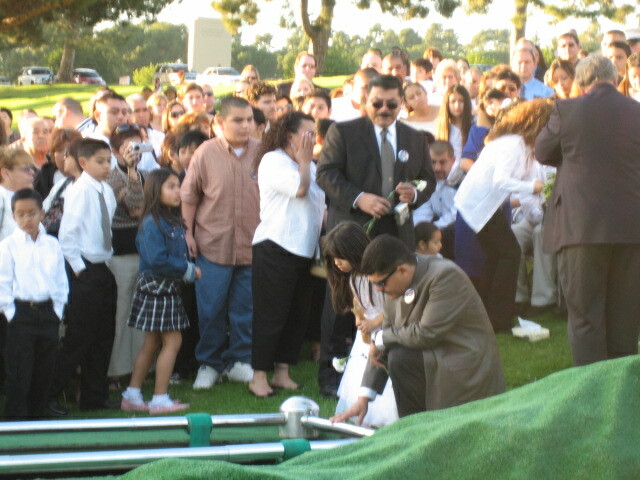 The widow of Sergio Gudino and son throw a flower into the gravesite while friends and family look on. 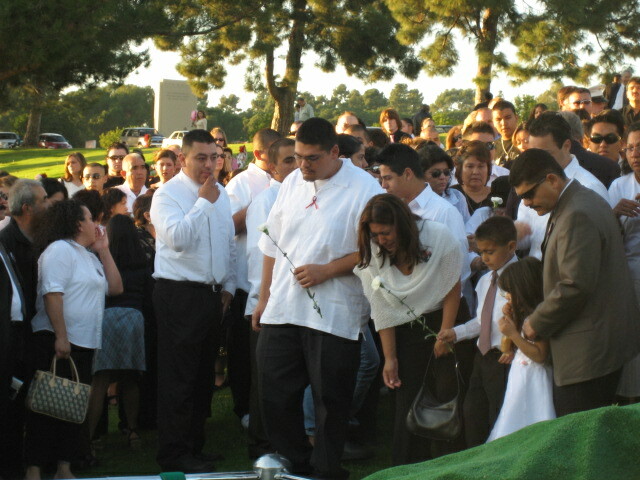 The Honor Guard for Sergio Gudino. GLENDALE - Sergio Gudino was remembered as a war hero and loyal family man Saturday during a somber ceremony too short for all the warm memories of his life, and in a church too small to hold all the people who loved him. Gudino, a 21-year-old Army specialist from Pomona, died in Iraq on Christmas day when a bomb exploded near the M1-A1 tank he was driving in Baghdad. 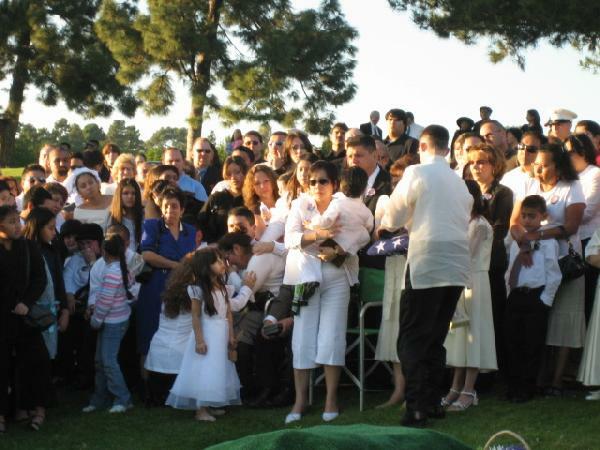 Friends, relatives and fellow soldiers recalled the married father as a "gentle giant" during services at the Forest Lawn Memorial-Park in Glendale. His hulking size allowed him to fill a room by himself, they said. But he also had the heart to match. 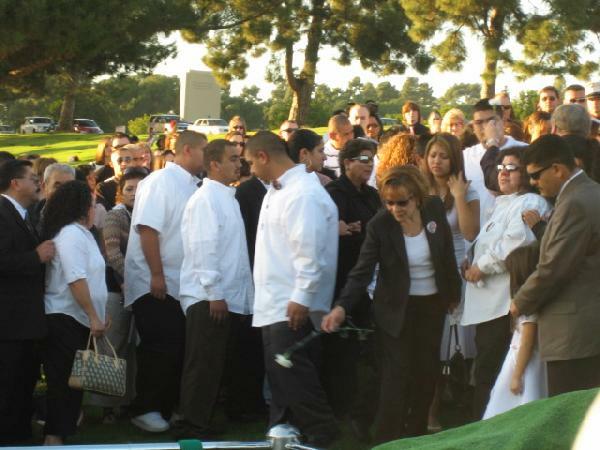 "Sergio fought for something he believed in," said his father, Victor. 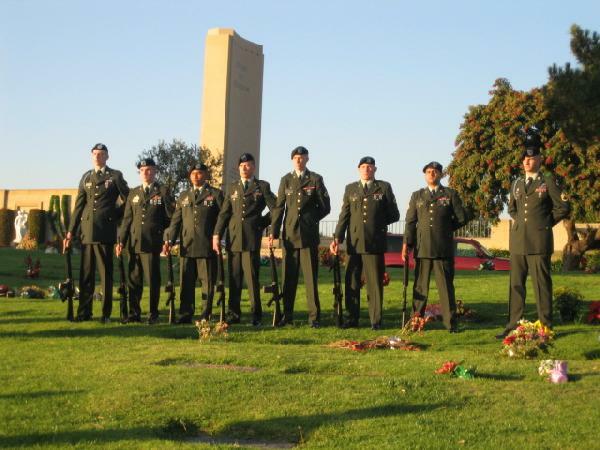 "He loved being a soldier, he loved his job." Hundreds of people crowded inside the brown, stone church on the grounds of Forest Lawn. 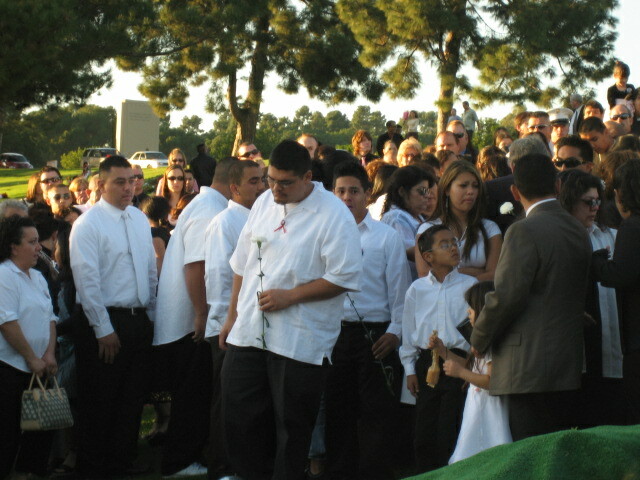 The crowd grew so large that many attendees had to stand in the back or listen to the services from a nearby room. Nearly a hundred scruffy motorcycle riders, many Vietnam veterans, waited outside near their bikes in a show of respect. Two of Gudino's Army buddies, both freshly home from Iraq, said he was a hard-charging soldier and "probably the best friend someone could have." "He is a hero," said Sgt. J.P. Akers, who served in the same platoon. 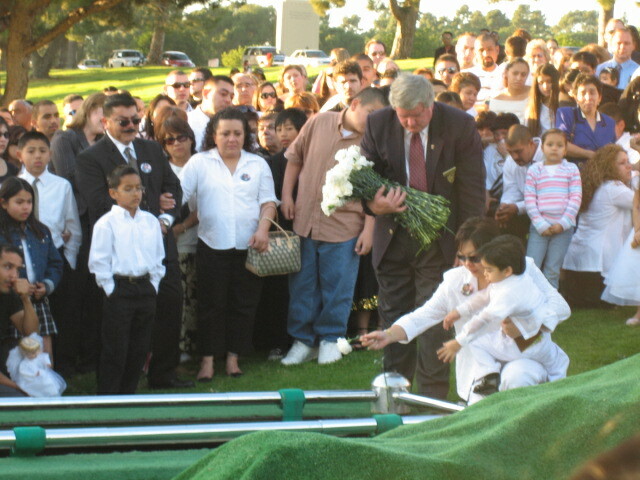 "He will not be forgotten." 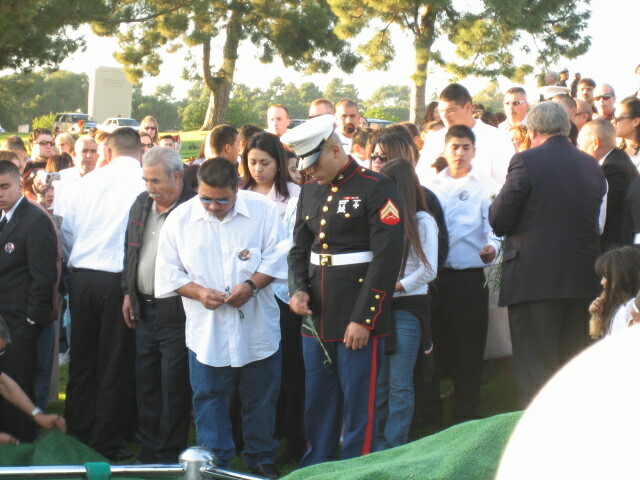 Gudino joined the Army in 2003, two years after he graduated from Claremont High School. He was deployed to Iraq a year ago. 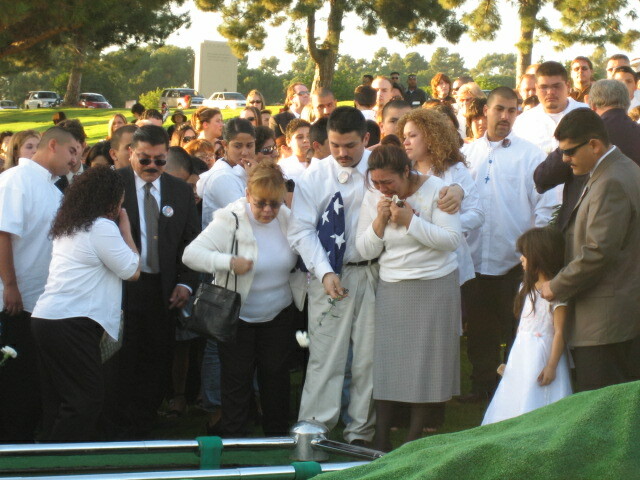 "One thing was for sure," said his widow, Candy, "he loved being a soldier and he gave it his all." He was buried with full military honors. 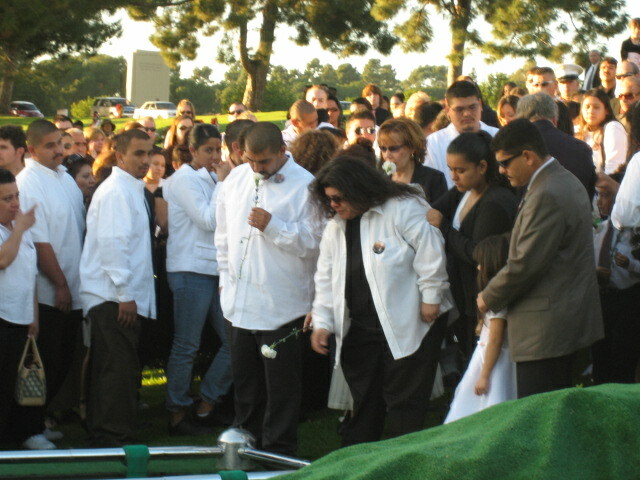 Gudino's casket was lowered to the ground. 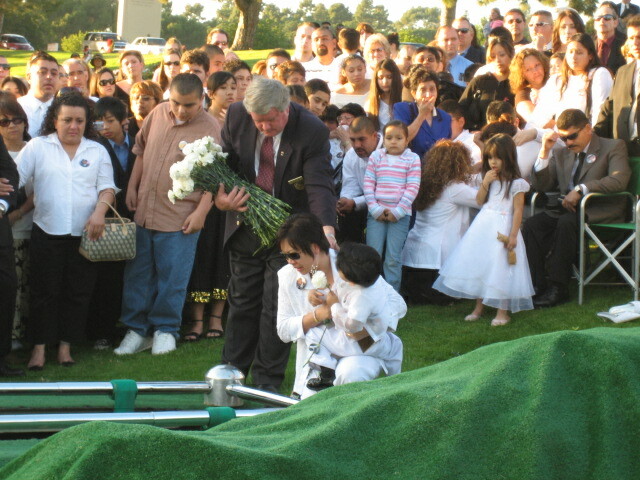 His 3-year-old son, Cyrus, was the first to drop a white flower into the grave.